It is getting to that time of year when club membership expires (31 March). Good news is club membership fees are staying the same at just £5 for another year, UKA have increased the fee to £14. Then drop a mail to rr@redwayrunners.com to confirm you have paid – if any of your details have changed let us know – if however, you want UKA on your membership and you have not had that previously then we will need a form. Put the completed form and payment in an envelop and pass to Martin at a club run or post to the address on the form. Cheques payable to ‘Redway Runners’. We go on the run with our members and we find out a bit more about them – which we thought would be great to share, this time it is with James Armstrong who is leaving us shortly as he is moving with Jodi down to Devon, first met James at the Northampton parkrun and Northampton Magic Mile which he set up and was always ensured a friendly welcome to the green invaders. When did you start running and when did you join Redway Runners? I started running in 2011 and joined Redway Runners in 2016 although I feel like I have been a member since 2012 when I first met the friendly green team at parkrun. Have you run with other clubs how does Redway Runners Compare? 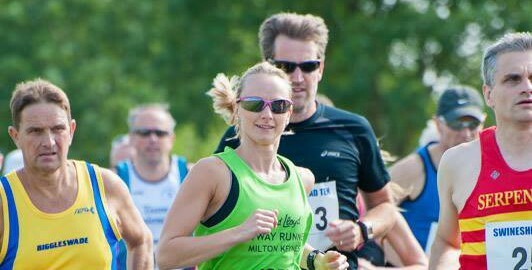 I joined Wootton Road Runners as my first club in 2012 and remained a member till I moved to Woburn Sands after meeting the lovely Jodi Fisk. From then I remained loyal to my club until the pull from Redway Runners was just too much to resist. Redway Runners are an awesome bunch of people. This is not a new discovery as I’ve got to know several Redway Runners very well over the years and see the team at many races. They were also incredibly supportive when I set up the Northampton Magic Mile. What’s the best thing about being in a running club? The comradery and support. I love the undiluted enthusiasm and team spirit. Being part of a team is vital to getting the best out of yourself and it has certainly been invaluable to me over the years. I doubt that I will ever be “unattached”. I suppose my first experience of Redway Runners was at Northampton parkrun. I was Run Director for a number of years there and every month, usually when I was directing we’d get an cloud of green vests turn up. It was fantastic. They would bring an infectious enthusiasm and sense of humour. I have trained when possible with a small group of reprobates being, Paul Mizon, James Down, Adrian Maidment, Neville Rowles, Martyn Douglas to name a few. 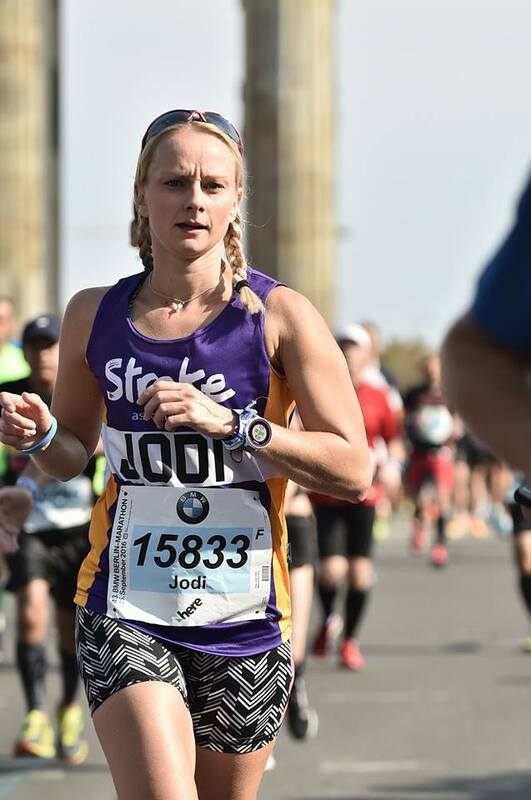 The person I run with most of all though is my girlfriend and all round super star Redway Runner, Jodi Fisk. 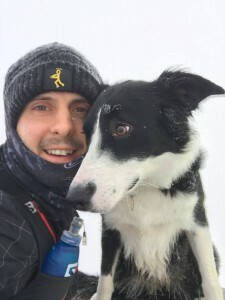 We run at least twice a week together with Jess our young Border Collie. Tell us your history of running? After finishing uni I threw myself in to work and neglected any physical activity. Up until that time I had played sport consistently all my life but I was determined to make a good start in the professional world. During this time, I had put on a little weight and became quite conscious of the fact. I literally had an epiphany one day. I saw an older gentleman walking past on the other side of the road. He was in his mid 50’s and had big pot belly and looked generally very unhealthy. That very moment I thought I must do something to make sure that’s not me in 20 or so years. I picked running as I could always run reasonably well and new that it was something I could do even when I was 90. I went from here and entered the London Marathon ballot, I was of cause unsuccessful so then entered the Silverstone Half. I ran 1:45 and thought actually this might be something I could pursue. I joined my first running club in 2012 and then totally dedicated myself to training. I concentrated on the half marathon and in 2013 ran my pb of 1:17 at the Great North Run. I then ran my one and only marathon a few weeks after and literally just nipped under the 3hr mark. 2:59.54. I remember running confidently round the penultimate corner on to the track at Abingdon before looking across and seeing the clock above the gantry at 2:59 something. To this day I don’t think I have ever run 200m so fast. During my time at Wootton I completed my coaching qualifications and joined the committee. At the end of 2013 I picked up an injury in my ankle. After seeing several physios I couldn’t get an answer to what it was. It took 6 months before I then saw Mark Buckingham at Witty, Pask & Buckingham before he immediately diagnosed the injury and got me running again. 8/9 months had passed after first picking it up so my fitness was severely lacking. I started coming back but finding the balance proved hard and I picked up several niggles along the way. This constant striving to regain my previous form ground me down. In 2015 I met Jodi Fisk. We met on a woods run in Woburn Sands with a few others from Redway Runners and from this point my perspective on running started to change. We got Jess our border collie later that year and she has taught me that running can be FUN! It doesn’t always have to be about chasing times and pushing yourself to your body’s limit. 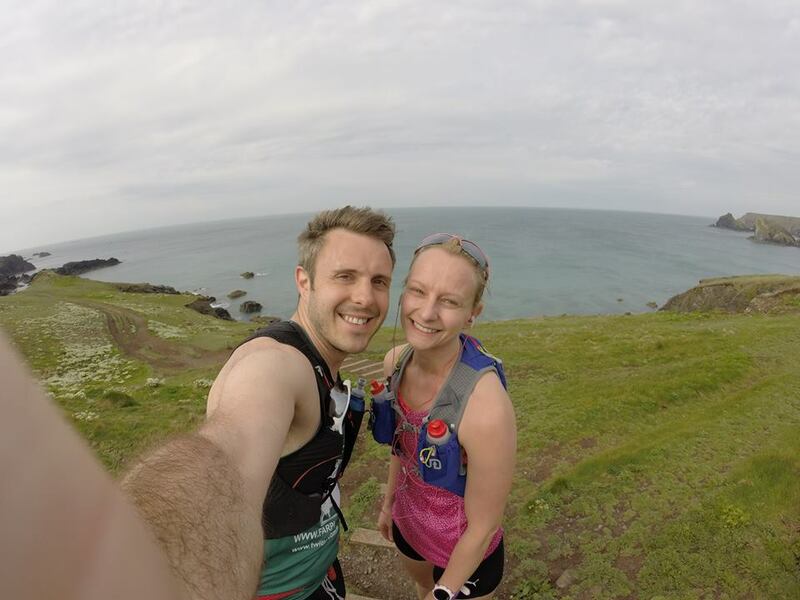 The three of us have run in the Peak District, Welsh Mountains, Cornish beaches, South West Coastal paths and Devon moors. I have since run my first Ultra marathon and now really enjoy just going out for a run with my two favourite girls. That’s not to say I don’t enjoy doing the best I can in races and I still have ambitions. I have also qualified as a Sports Massage Therapist and with Magnus Sports Therapy I have really enjoyed helping and treating several members, getting them back to running and doing what they love most. What is your running ambition? To continue to enjoy it. I would like to turn my hand to some ultra’s and would like to try and podium at this distance. I will also race on the track as I do enjoy the high adrenaline, shorter races. 2 years ago, I would have said purely to train hard and push myself to my limits but now it’s to enjoy life to the full and spend time with people who are most important to me. What would you do if you were not running? Probably become over weight and become less happy. That said I can imagine I would have to be doing another sport. Who have you seen while running? I have seen several running elites over the years while running. I have started the Great North Run next to Mo Farah and Kenenisa Bekele. I ran and over took Paula Radcliffe at the London Anniversary 10K (she wasn’t racing). I ran with James Cracknell for the last 3 miles of the Great North Run in 2014. 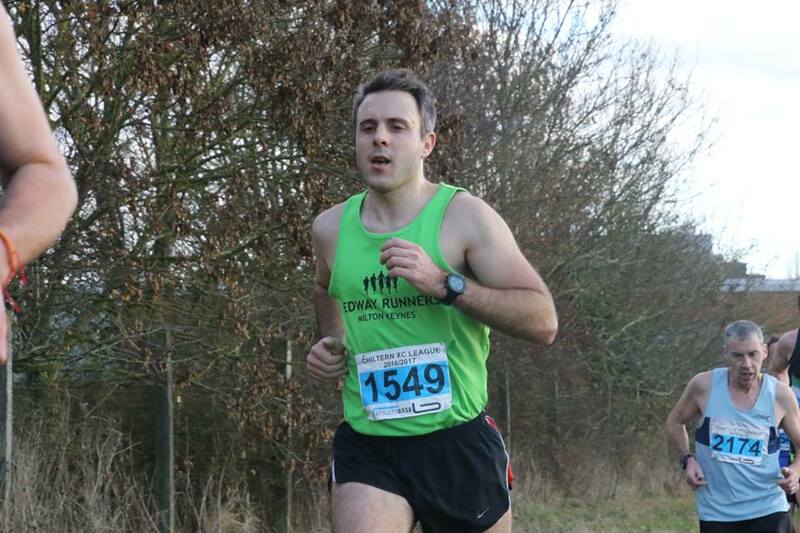 I also met “my mate” Andy Vernon at the National Cross Country Relays in 2016 whilst competing for Redway Runners. Trails, mountains and coastal paths. Other runners, happy people (I make a point to say hello to every single person I see out running). What is your favourite running track and film? I love a power ballad whilst running. A bit of Tina Turner, Boston and REO speedwagon is sure to keep me going on my long runs. Tell us about your worst run? It would have to be my first attempt back at the half marathon after my injury and I was miles off the pace from mile 3 and just felt awful. However, this turned out to be ok when I met one of my sporting idols, James Cracknell at mile 11 and ran the rest of the race with him. Have you ever lost your running mojo and how did you get it back? Woburn Sands – Woburn – Eversholt – Ridgmont. Good hills and great scenery. Who would be on your wish list to run with? Worst/Best advice you’ve ever been given? Worst advice – when having a small niggle to still race and just see how it feels! Best advice – recovery is equally if not more important than sessions. Sessions break down the muscle but rest and recovery is where those muscles then repair bigger and stronger. What did you learn from your first marathon, and what would you change? I have only done one marathon and didn’t really race so can’t say I learnt too much, however I would say I realised just how many people go off too hard and then completely die in the last 5-10 miles. What type of running do you prefer and why? I love variety. I love racing flat out over 400m on the track but also love running 16 miles through beautiful countryside or running up a mountain with Jess. Love or hate loop backs? Run to time or distance? If you don’t share your run in social media, did it happen? Where do you log your runs and do you stalk others runs? Absolutely, since Strava I guarantee there has been a rise in overuse injuries! Saying that I use Strava as a social share and Garmin Connect for my only analysis. I love stats and definitely stalk other runners. Half Marathon, it has the perfect balance of endurance, tactics and out and out racing. Up early in the morning, Weetabix or porridge, water, SIS energy drink. Then 30 mins before the race hold wee until the last minute and have half a banana! What’s your one race essential? Would you run a marathon without getting a medal? Have you considered joining the cross country team? Indeed and have run cross country many a time. Absolutely love it. I started running in 2012 and joined Redway Runners in the Spring of 2014. The encouragement and support of other runners, it has made me more committed to my training. I suppose I should mention that it helped introduce me to my now boyfriend, James! So, it’s been quite beneficial for me! 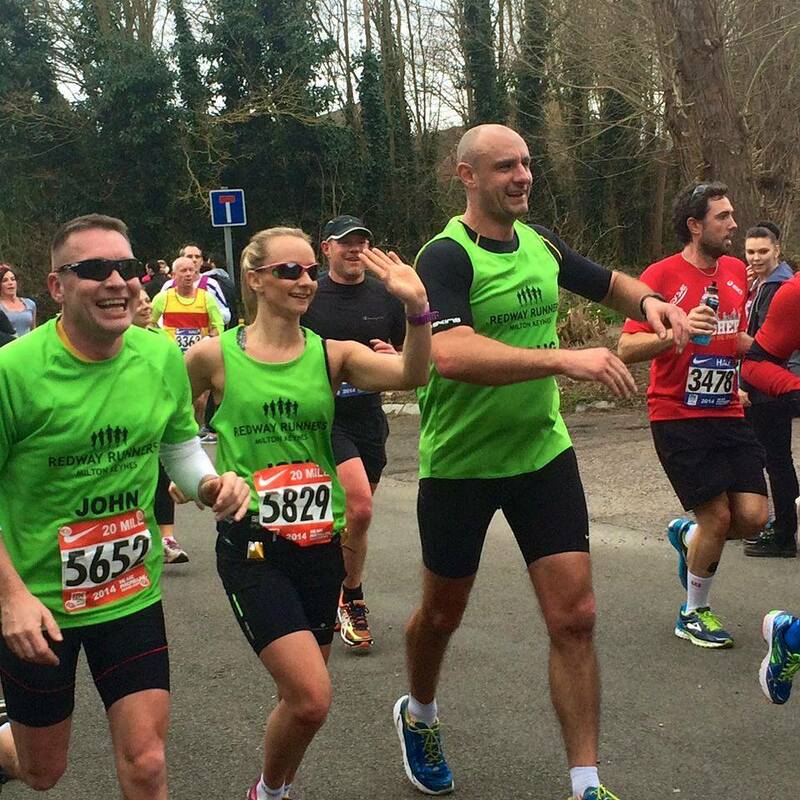 How much does running with Redway Runners mean to you? It’s great to run with such a supportive and friendly bunch of likeminded people, I will really miss everyone when I move away. Sunday club run in Aspley Woods, felt very apprehensive but it didn’t take long to get chatting and made to feel very welcome. I have mainly attended Sunday runs, which are so useful for marathon training, I have found people (mainly John Laverick!) that are the same pace as me so that no long runs have to be alone again. At home, James and I run regularly with our dog, Jess. In my school years I was a very keen long distance runner but this soon disappeared when real life took over! It wasn’t until my late twenties when I realised I needed a healthier lifestyle so I decided to try something I was once ‘ok’ at, the rest as they say is history! I entered my first race in 2012 which was The Great South Run, the distances then got longer and my first marathon was Brighton in 2014. Since then, I have completed another Brighton Marathon, London Marathon, New York Marathon and Berlin Marathon. This year I am heading to Chicago, attempting to achieve my ambition of completing the six World Marathon Majors. New York Marathon which was a long-awaited dream! To run the six World Marathon Majors. To always improve and better myself, to have a getaway from work as well. Aspley Heath and Dartmoor in Devon. Favourite running photo and why? Berlin Marathon finish line, I had only just come back from injury and didn’t feel ready for this race, so it was a big achievement for me. YES! I was injured for around 9 months and just couldn’t get myself out of the door for a while, I started by just running 2 miles and building slowly. It helped that I had James to drag me out of the door! 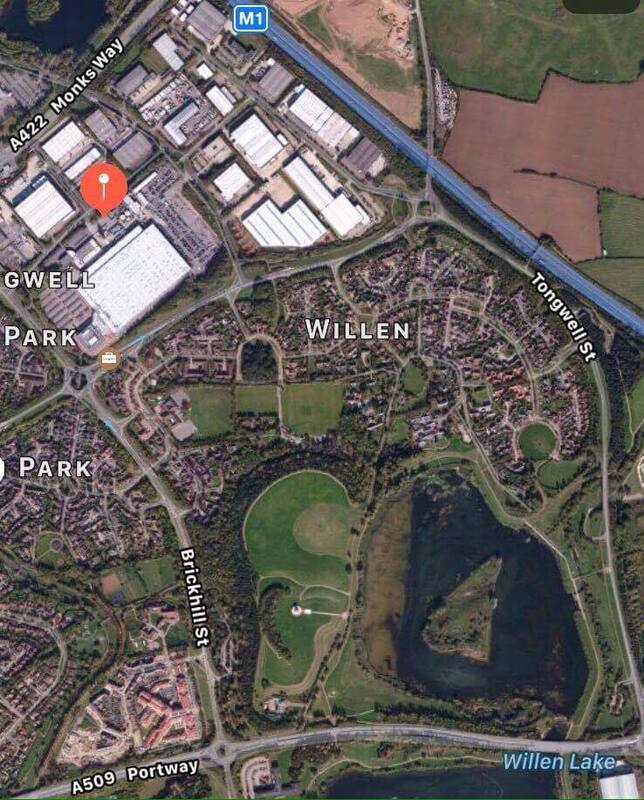 I like running the Redways from Woburn Sands into Ouzel Valley, it never feels like you are in a ‘city’. Worst – To run my long runs close to or at my target marathon pace. Best – To appreciate the importance of rest days and recovery runs. I had a great experience at my first marathon and wouldn’t change a thing about it, I paced it from the start and really enjoyed the experience. What I am going to eat when I get home! Core strength work at home. Sorry, but I don’t like them! My hours don’t suit running at all as unfortunately I am on call 24/7. I am a stickler for social media, always upload my runs to Garmin/Strava and check out everyone else’s on there too. Brighton Marathon, it’s my favourite race, the support is great and you finish by the sea. Marathon, it always challenges me and my limits. Pasta the evening before and an SIS energy drink on the go the day before. Dartmoor in Devon, the scenery is amazing. Tring, it’s a lovely course and all off road. Yes probably, as long as the time is logged somewhere! Yes, I enjoy cross country. A PB, a win is pretty unlikely!